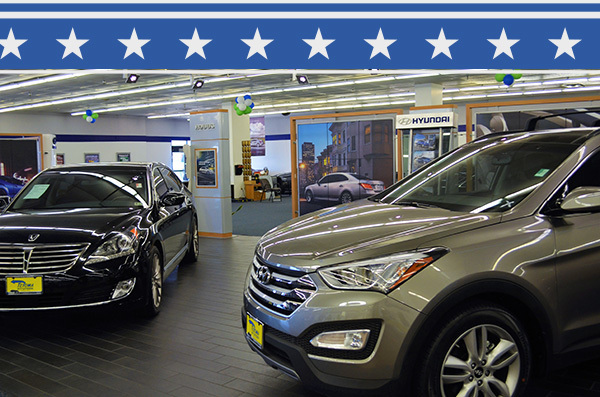 Whether you need a new Hyundai or a quality used car, truck or SUV, you know you'll always find it for a fair price and receive award winning customer service at Texoma Hyundai. 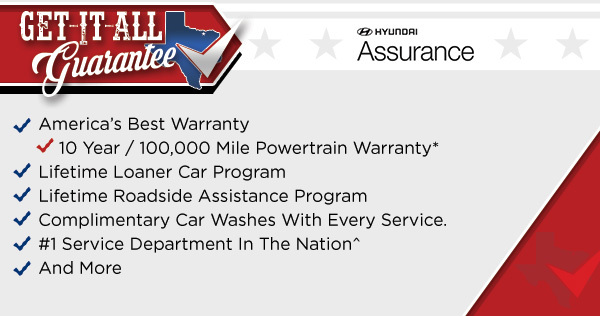 "Texoma Hyundai has the best team of service and parts employees in the nation and we are extremely pleased by their continual desire to always be best,"
Don't forget! We give you the Get-It-All Guarantee with new or used vehicles we sell. It's a lifetime of savings for as long as you own your vehicle - and it doesn't cost you a dime. We are proud to win Hyundai's highest honor for a third straight year and we are equally as proud knowing it's because of you that we have! We don't take it for granted! Click the button and schedule your service appointment, and find out for yourself. We serve Sherman, Denison, Gainesville in Texas, and even over the border in Durant and Ardmore in Oklahoma. 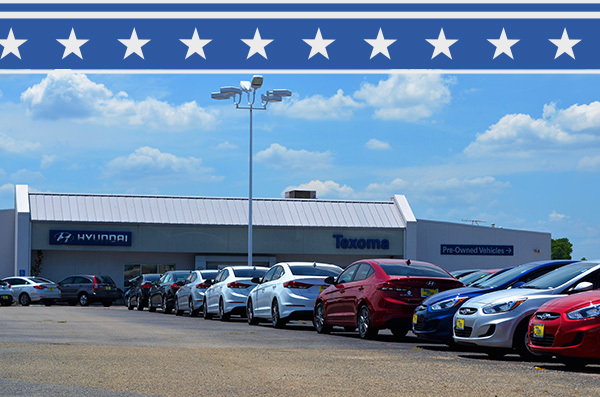 So when you're looking for a better deal on a new or used vehicle - including over 200 low-price pre-owned vehicles- you can count on Texoma Hyundai to do right by you.